This guide will explain the various registry settings, that can be changed by the user. The default setting is showed in blue in this guide. In most cases you will not need to change any of the default settings. The program is already optimized for the normal end-user. If you have changed any settings and want to use the default ones instead, simply press the 'Restore Defaults' button. The program will ask you if you really want to reset the settings. Your changes will be reverted back to default values. Only the current tab will be reverted back to default settings. Will leave the settings as they are and abort the pop-up window. The windows style of the built-in dialogues that you use for File-Open, File-Save and Browse for file/folder operations. 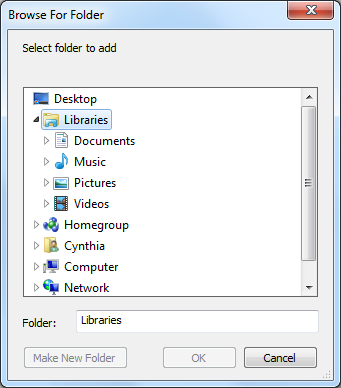 In Windows Vista and later Windows versions, Microsoft updated the common file dialogues, this time to make them similar to regular Explorer windows. The file-open and file-save dialogues now have a built-in search field as well as the Favorite Links/tree view pane that are in all Explorer windows. 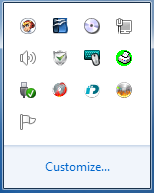 If you enable this option, the used windows style will be the old Windows 9x style. Note: This setting is only valid if you are running Windows Vista or later Windows versions. If enabled you will not see the status bar messages that shows up in the lower left corner in the 'EZ-Mode Picker' window. The standard messages contains funny quotes from movies and TV shows. By creating a plain text file with the name 'StatusBarMessages.txt' in the ImgBurn program folder, it's possible to create your own compilation of status bar messages to be used instead of the default ones. When enabling this option, ImgBurn will minimize itself as an icon to the system tray. (The system tray is where your PC clock is located. )If you want to bring the ImgBurn window backup, you would double click the "CD" looking icon. Alternatively, you could right click on the "CD" looking icon and then left click on "Restore ImgBurn". When this option is enabled, ImgBurn will attempt to stop the computer from going into standby whilst it's burning. For those who don't want any CPU to be wasted during a burn. Will display your shut down option after the action has completed. You can select the shutdown option here, that you want to be carried out after that ImgBurn has finished it's tasks. The different modes are the same as in Windows. Both of the options 'Shut Down' and 'Power Off' will perform the same task. One uses the 'EWX_SHUTDOWN' flag while the other uses the 'EWX_POWEROFF' flag. Some messed up machines just don't work with one but will with the other.The default setting is 'Disabled'. If enabled, the shutdown action will not take place if there are still other programs running. If disabled, this option will shut down your computer in any situation. A change of the settings 'Write Speed, 'Copies', 'Test Mode' and 'Verify' in one of the 'Modes' user inter face, will automatically change the same setting(s) in the other two 'Modes' for you. You can have the user interface in your own native language by selecting it here. Option to use the system default language. When an exact match cannot be found (i.e. the correct translation file is missing from the Languages folder), the program will attempt a partial match, like in this case when a local language variant of a the Swedish language file is installed instead. In this option you manually select amongst the installed language files the desired language to set for the user interface. The default setting is 'English (United Kingdom)'. Allows you to decide if 'BiDiMode' (Bi-Directional support for fonts) is to be set to 'Left To Right' or 'Right To Left'. Bi-directional text is text containing text in both text directionalities, both right-to-left (RTL) and left-to-right (LTR). Some writing systems of the world, notably the Arabic (including variants such as Nasta'liq), Persian and Hebrew scripts, are written in a form known as right-to-left (RTL), in which writing begins at the right-hand side of a page and concludes at the left-hand side. This is different from the left-to-right (LTR) direction used by most languages in the world. When LTR text is mixed with RTL in the same paragraph, each type of text should be written in its own direction, which is known as bi-directional text. The default setting is 'Left To Right'. Warns you when checking the 'Don't update IFO/BUP files' box in the layer break dialog window in the 'Build Mode'. Prompts to save the Queue when you exit the program if there is more than one image in the queue. A check for 'AnyDVD', 'DVD43' and 'DVD Region+CSS Free' - as they could potentially modify data when it's being verified - resulting in a 'Mis compare' error. W 00:00:00 DVD43 can interfere with ImgBurn's ability to verify accurately, please ensure it's disabled! It also checks if the driver sptd.sys from Duplex Secure Ltd is present in the system. This driver is used by Deamon Tools and Alcohol 120%. Older versions of this driver can slow down I/O and basically limit the top speed of your drive when reading/verifying (for some drives on some machines). Only PATA and DVD -R discs were affected. Recent versions, as version 1.81 and above of the sptd.sys driver, doesn't suffer from this behaviour. Even if you have uninstalled Daemon Tools and/or Alcohol 120% the driver might still be present in your system and in such case you need to uninstall it through the 'SPTD setup file'. W 00:00:00 Duplex Secure's SPTD driver can have a detrimental effect on drive performance. 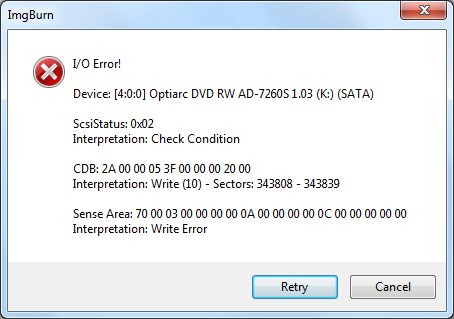 When burning DVD-R DL media and Layer Jump Recording is not supported/being used. W 00:00:00 Cannot set the layer break position when burning DVD-R DL media. With this option you can decide if you want the FAT32 4GB max file size warning in the log should show up or not. If enabled you will see a warning in the log file. Warns if the image is larger than the default disc size. W 00:00:00 User accepted disc space warning and is attempting to overburn! ImgBurn can not read from protected sources. Warns you when checking the 'Seamless' box in the layer break dialog window. 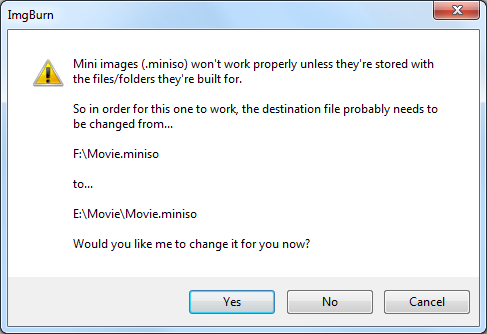 This will tell you to select the MDS file rather than the ISO file when you select an ISO file for burning and its MDS file exists. .The default setting is 'Enabled'. As Windows 98 and some other older Windows versions are based on the FAT 32 file system (and a lot of people still use this even under Windows XP) which cannot handle files larger than 4 GB and ISO files containing movie data usually are larger than 4 GB, the created ISO is split on such systems into a multi part or segmented ISO which consists of several 1 GB files with an enumerated extension like .i01, .i02 and a .mds file of a few bytes which holds info on the parts. MDS is just a file that is generated along with the ISO file when making a 1:1 copy or creating an ISO file on your hard drive. It just basically tells your burner where to put the layer break for dual layer burning. This will allow you to configure if the program should tell you that you have the Test Mode enabled when you write to a disc. 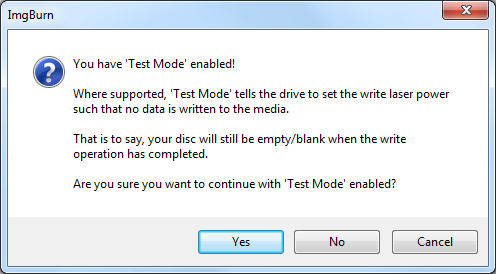 Option to not show the 'Test mode not/might not be support' warning message when you write to a disc. This will allow you to configure if the program should tell you that you can burn to a single layer disc and don't need to use the double layer disc in the drive. If you select an image file in the import file dialog in the 'Build Mode'. 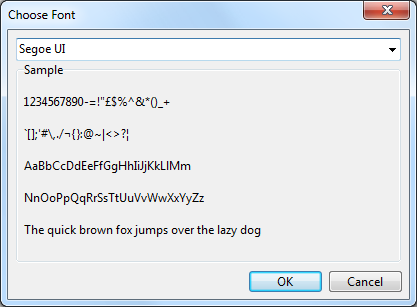 You can here select the desired font to be used by the program's GUI (Graphical User Interface). If you want to change the default GUI font, then first enable the option 'Set GUI Font' and then use the folder browser button to activate the 'Choose Font' window. Segoe UI (pronounced "SEE-go") is the Windows system font. When the GUI font is set to 'Segoe UI', the program uses size 9 rather than size 8 as the default character size. The default setting is 'Disabled' and 'Segoe UI'. Files created in 'Read/Build Mode' will be preallocated. This cuts down on fragmentation. Calculates MD5 values for builds and images and displays them in the log. Only selectable if you also have enabled the option 'Calculate MD5 Hash Values'. 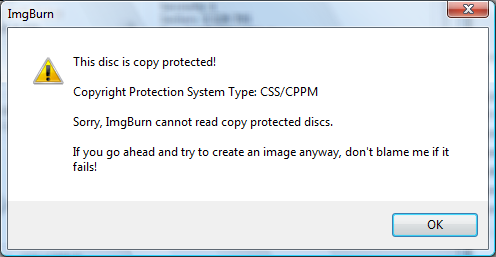 If it it's enabled, ImgBurn will warn the user when the MD5 of a disc / image do not match after a Verify operation. Option to stop the program from analysing (doing the dummy decode pass on) CD-DA ready WAV files in the 'Create CUE' file function. Preserve the full path of the files when creating the CUE file. A cue sheet, or cue file, is a meta data file which describes how the tracks of a CD or DVD are laid out. Cue sheets are stored as plain text files and commonly have a ".cue" filename extension. For an audio CD, a cue sheet specifies titles and performers for the disc and its tracks as well as the names of one or more audio files to be used. Cue sheets are also used for many types of CD's in conjunction with an image file. The image file generally has a ".bin" extension. If enabled, the CUE file will be saved as an ANSI file, instead of an Unicode file. Preserve the full path of the files when creating the DVD file which accompanies an ISO. When this option is enabled, support for writing Unicode names into DVD files is enabled. Preserve the full path of the files when creating the MDS file which accompanies an ISO. When this option is enabled, support for writing Unicode names into MDS files is enabled. The allowed time to parse the file system during read and verify operations. Ranges from 10 seconds to 5 minutes. The default setting is 'Enabled' and '30 Seconds'. Option to tell the program to include a header (program version + date) at the top of log files when saving them. Will automatically check this setting in the 'Create Layer Break Position' dialog window. It is used mainly if you have set or unset the non-seamless flag in a particular cell and want it kept that way. Will automatically check the seamless layer break option in the 'Create Layer Break Position' dialog window. The difference between seamless layer change or a non-seamless layer change, is that with the seamless layer change, the switch between the first and second layer is less detectable. With the non-seamless layer change, there is a short pause when the DVD player switches between the layers. While the seamless layer change would appear to be the best choice, some (mainly older) DVD players do not support the seamless feature, and may stop playing the disc once the switch point is reached. For that reason, it is a good idea to test your player(s) ability by burning a disc with the option enabled, to see if your player accepts seamless playback across the layer break (most modern players do). before you start use it as the default setting. Also if this setting is enabled, ImgBurn no longer tells the previewer to insert a 1 second pause between cells. Option that makes the program include interleaved cells (Multiple title-sets that share the same VOB) in the 'create/select layer break position' dialog. An explanation of interleaved cells. A cell is made of little parts (called VOBUs, beginning with a Nav PacK and followed by some video, audio and subpic packs.) A normal cell usually contains several VOBUs, unless it's a very short cell (such as a single frame.) Each VOBU has its own VOB/Cell ID combination. An ILVed cell (interleaved cell) is a cell "mixed" with (at least) another ILVed cell. When the cells are interleaved, only one interleaved cell is played at a time. Interleaved cells are used in multi-angle Titles where the cell to play is determined by the current angle (previously defined by a SetSTN command, or by the user if he changes the angle with the remote.) It is possible to switch easily and (almost) in real time the current angle, as the player has just to finish playing the current VOBU, and then switch to the next VOBU in the other cell. The multi-angle technique is often used to translate some parts of the original image with words in foreign languages. There are many multi-angle examples in Disney DVDs. The preview is used to display conveniently what the video looks like at your selected layer break position on dual layer builds. If you wish to use an alternative DVD2AVI implementation, enter its EXE here. The default setting is 'C:\Program Files\ImgBurn\ImgBurnPreview.exe'. Makes the ImgBurnPreview program to show the information window automatically when the preview function is launched. Starts the ImgBurnPreview window in full size, instead of the default small size. Normally the sound in the 'Layer Break Position' preview window will be turned on by selecting the first audio stream in the title domain. On some systems this might cause playback problems. By enabling this option, the default sound setting will be set to 'Silent' in the drop down box in the 'Layer Break Position' preview window. This option will make the playback in the preview window go faster than a normal 1x speed playback (25 frames per second). The actual speed, if this setting is enabled, depends on your computers hardware. Direct draw overlays use the very low level overlay buffer, which is much faster than the usual way of displaying video to the screen. If your video card does not support the DirectDraw overlay function or you run the program under Linux's Wine, it can be disabled with this setting. On some systems the preview may actually be faster if this option is disabled. Sets the value to zero in the 'ImgBurn Statistics' window. This setting tells ImgBurn how to set the output file size of image files. The setting is required because some operating systems (such as Windows 9x/Me) have file size limits (a single file cannot be over 4 GB in size). Setting it to "Auto" will do the job in most cases, and ImgBurn will split your ISO files based on the file size limits of your OS. 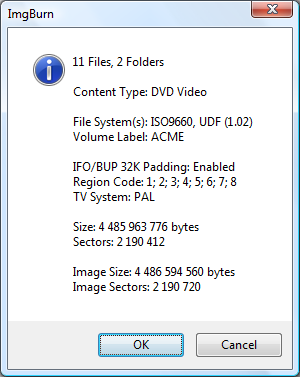 DVD+RW always show themselves as being the full 4.37 GB in size, because of the formatting process. This option will cause 'Read Mode' to read that full 4.37 GB, even if only 100 MB was written on the disc. This option will attempt 'Read Mode' to find out how many sectors of REAL data that are actually on the disc (by looking at various fields in the file system) and that amount will be read instead. Image Layout Files are optional media descriptor files that can be generated when creating a disc image from a CD or DVD. The purpose is mainly to hold information about the image file, such as the position of the layer breaks or layer breach bit and if the image file is split into several smaller files due to file size limitations of older disk file systems, to hold the information of those files that's making up the image file. Several programs use this Image Layout File to be able to mount or burn image file in a correct way. ImgBurn will create the selected Image Layout Files, that have been selected in the 'Image Layout File Format' option, only when it's appropriate. File splitting has been used and there's more than 1 file that goes to make up the complete ISO, hence MDS is needed to piece it back together. The ISO is a double layer image that, hence MDS is needed to tell ImgBurn where it is (without ImgBurn needing to search for it again). The ISO is under 1GB in size, hence the MDS is needed so that DAEMON Tools etc will switch to 'DVD' mode rather than being in 'CD' mode. 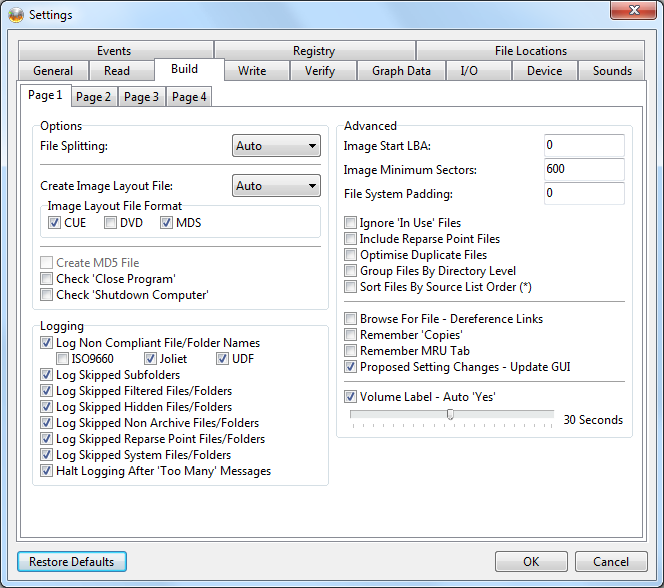 Always creates the selected Image Layout Files, that have been selected in the 'Image Layout File Format' option. Only creates a MDS file for FAT 32 file systems when the image file is splitted into several 1 GB files. With these options you can select the various image layout file formats you want to be generated when creating a disc image from a CD, DVD, Blu-ray or HD-DVD. The .CCD (CloneCD Control) file is simply an ASCII text file that holds information about the image file. With the help of this file you can mount Audio CD's onto virtual CD drives with programs like Virtual Clone Drive or Daemon Tools. The image data file needs to be named *.IMG, as that's what Virtual Clone Driver looks for. A .CUE file (cue sheet) is a plain text file containing commands with one or more parameters. These commands describe the data as a whole as well as individual tracks are laid out of a CD or DVD. In the past the .DVD file was needed for mounting HD-DVDs and BDs when using Virtual Clone Drive. The file contained the MediaType of the ISO image and told Virtual Clone Drive what type of image it was mounting. Recent versions of Virtual Clone Drive now detects the UDF directly from the ISO image so the .DVD file is no longer necessary. MDS is just a file that is generated along with the ISO file when making a 1:1 copy or creating an ISO file on your hard drive. 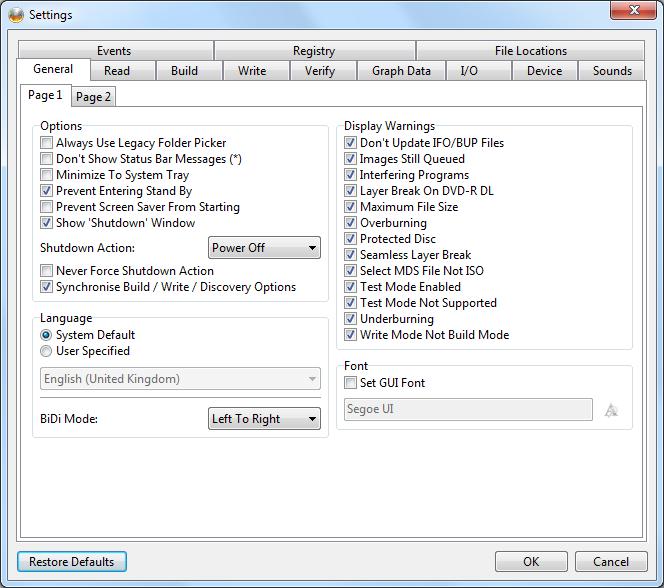 The MDS file contains metadata about the original media, specifically the position of the layer break and is needed to tell your burner where to put the layer break for dual layer burning. The format is a binary file with the "MEDIA DESCRIPTOR" appearing in the beginning of the file. As Windows 95/98/Me and some other older Windows versions are based on the FAT 32 file system (and a lot of people still use this even under Windows XP/Vista) which cannot handle files larger than 4 GB and ISO files containing movie data usually are larger than 4 GB, the created ISO is split on such systems into a multi part or segmented ISO which consists of several 1 GB files with an enumerated extension like .i01, .i02 and a .mds file of a few bytes which holds info on the parts. Allows you to save an Audio CD as a CUE/WAV (instead of CUE/BIN). This setting is only available if you also have enabled the 'Calculate MD5 Hash Values' in the Settings 'General' tab. It will create a text file with the same name as your image and add the extension '.md5'. This will pre-check this option in the 'Read Mode' window. , DVDInfoPro or Opti Drive Control. 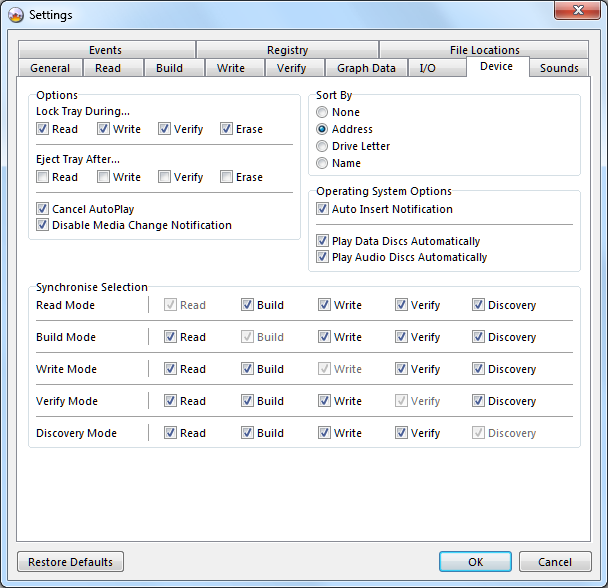 SpeedRead allows the user to change the reading of DVD media up to the maximum speed of the drive. Discs that may be damaged due to mishandling or improper use may shatter due to the higher rotational forces reached at the maximum read speed of the drive. The drive's maximum read speed is therefore limited as a safety function. When you enable the SpeedRead DVD option the drive will read DVD Video discs at maximum speed. Plextor recommends examining each disc before enabling this function. In a multi-tasking system like Windows, it is necessary to assign different priorities to different tasks. By assigning a higher priority to more important tasks such as CD/DVD writing software, Windows ensures that critical tasks do not get interrupted by less important background tasks, like virus scanners or printer spoolers. You can choose one of the following priorities: 'Realtime', 'High', 'Above Normal', 'Normal', 'Below Normal', or 'Idle'. The lower the priority is, the lower percentage of CPU time will be delegated to this task. Note that depending on the process and your administrative rights to your machine, you may not be able to change a particular process's priority. The default setting is 'Normal'. This option allows you to select where you want ImgBurn to save the output file(s). ImgBurn don't suggest a saving place or a file name. You have to select it manually. ImgBurn will use the hard disk with the largest free space to read the CD/DVD to. It will also generate a new name for the output file using the name of the DVD, i.e. NAME.iso. For CD's and if the source is recorded using 'Mode 1' (2048 bytes per sector) an ISO will be created and for 'Mode 2' (2352 bytes per sector) it will be in a BIN/CUE setup. When calculating the automatic destination path, ImgBurn checks that the user has permission to write to the folder. As it normally goes to the root folder of the drive, this fails under Windows Vista when running as a 'Normal' user. Now it will realise that and point to the 'My Documents' folder instead. It will use the latest place you saved to. Selecting this will make the program default to saving in the 'Image Files' folder as specified on the 'File Locations' tab. Always defaults to the specified destination - regardless of any manual changes you have made via the 'Browse' button. The destination specified here is ONLY used if it is set on 'Custom'. It is nothing to do with automatic. You can set how many times a failed read operation is retried until ImgBurn gives up. The higher the value you select there the more ImgBurn will try to read a sector before giving up. It can be set to a digit between 0 and 20. The default setting is '20'. This is for the drive itself, not the program. Not all drives support setting the number of retries they perform on an error. The drive performs X 'hardware retries' for Y 'software retries' made by the program. So in total retries = X * Y. The default setting is 'Disabled' and '2'. This will result in ImgBurn just skipping sectors it can't read. This is for the 'Create CD CUE' module. The PreGap on an Audio CD is the portion of the audio track that precedes "index 01" for a given track in the table of contents (TOC). Option where you can configure the PreGap detection command order. The default setting is '1-2-3'. Gaps will snap to the nearest second (multiple of 75 frames) if within the specified range. (i.e. 1 second, 72 frames will snap to 2 seconds). It can be turned off by setting the value to 0. 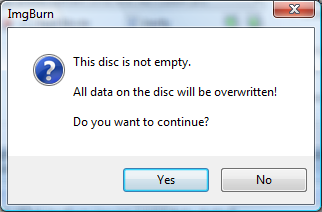 This option only applies when reading a disc, not writing one. The default setting is '5 Frames'. 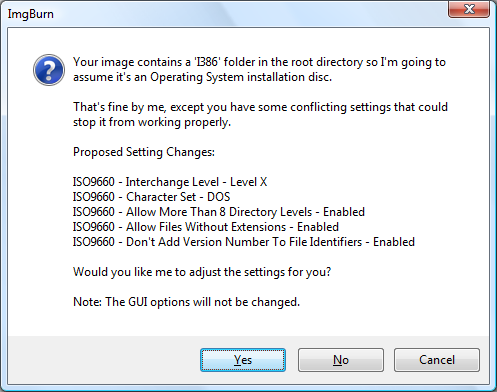 An option that allows the user to override which information that should be used to create the program's internal disc layout info. This is used at any time the program looks at what's on a disc and has to use that info in read mode and verify mode. The above information can be found in the right part of the Read mode window when a disc has been loaded. Buggy firmware on certain drives may benefit from using TOC info for DVD media rather than the now default Disc/Track Info. The default setting is '2-1-3'. When you use the 'Batch Mode' function and the previous disc is done, this option will eject the tray for you. When you use the 'Batch Mode' function, ImgBurn will ask you to insert a new disc and after that is done it will wait 10 seconds by default before it starts the reading process. In this option you can specify how long that time should be. It can be set to a time between 1 second and 5 minutes. The default setting is 'Enabled' and '10 Seconds'. This option will automatically load the next non-blanc disc for you when you are using the 'Batch Mode' function and if the 'Next' drive has a changer device associated with it. Option to make the program wait longer for the drive (in an auto/embedded/medium changer) to become ready when doing a 'Batch Mode' Read. 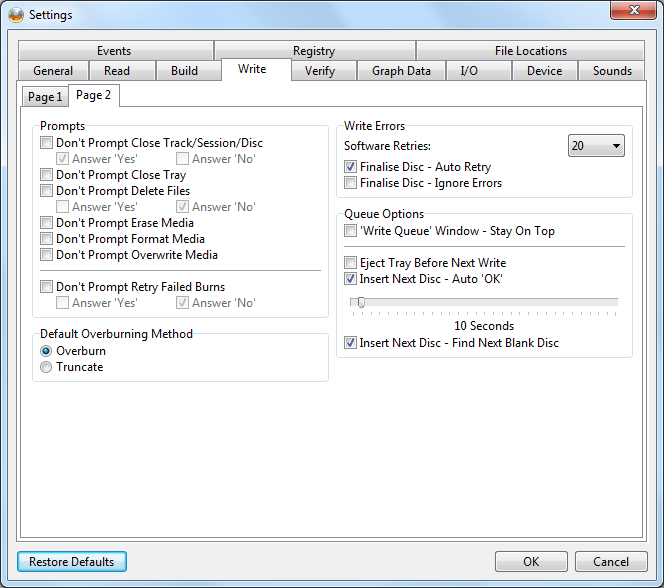 Option is enabled by default and makes the program wait 5 minutes rather than 5 seconds. When you use the 'Batch Mode' function, ImgBurn will ask you to insert a new disc and after that is done it will wait 10 seconds by default before it starts the reading process. In this option you can specify how long that time should be. It can be set to a time between 1 second and 1 minute. This will pre-check this option in the 'Build Mode' window. This will show you in the log file which files/folder names that has been changed/truncated due to the restrictions of the applied file system. W 00:00:00 ISO9660 File System: 3 folder/file names have been modified due to your current settings. W 00:00:00 Joliet File System: 3 folder/file name has been modified due to your current settings. W 00:00:00 UDF File System: 3 folder/file name has been modified due to your current settings. ISO9660 only allows file names in the 8.3 format. DOS file name format. If enabled it gives you the full list of the files that have been modified. Joliet only allows file names shorter than 64 characters. Windows file name format. UDF only allows file names shorter than 128 characters. Option to log skipped subfolders in Build mode (for when 'Recurse Subdirectories' is disabled). Option to log skipped 'filtered' files/folders in Build mode - i.e. from within folders like the VIDEO_TS one where only IFO/BUP/VOB files are allowed. If you have the option 'Include Hidden Files' in the tab 'Options' in the Build Mode function disabled, ImgBurn will add a note in the log about files/folders that are skipped due to this setting when you add hidden files/folders to your compilation. If you have the option 'Include Archive Files Only' in the tab 'Options' in the Build Mode function enabled, ImgBurn will add a note in the log about files/folders that are skipped due to this setting when you add non archive files/folders to your compilation. If you have the option 'Include Reparse Point Files' in the tab 'Options' in the Build Mode function disabled, ImgBurn will add a note in the log about files/folders that are skipped due to this setting when you add reparse point files/folders to your compilation. If you have the option 'Include System Files' in the tab 'Options' in the Build Mode function disabled, ImgBurn will add a note in the log about files/folders that are skipped due to this setting when you add system files/folders to your compilation. The logging of skipped files and folders will stop after 1000 messages. If you want it to still log skipped files and folders, you can disable this setting. Logical block addressing (LBA) is a particularly simple addressing scheme; blocks are located by an index, with the first block being LBA=0, the second LBA=1, and so on. This setting allows you to specify the first LBA of the image. It's mainly used on games to to push data to the outside part of the disc to make the reading faster during the gaming. The default setting is '0'. Sets the minimum amount of sectors that the image should contain. The track is the smallest logical unit and a track is a minimum of 600 sectors in length. If the image is < 300 sectors (600K/4 seconds) in size ImgBurn will use TAO instead, because that's the minimum size for an DAO track. The default setting is '600'. Anything that's not divisible by 16 (sectors) will be padded by the drive when you burn to DVD+ media. Allows you to ignore files that is in use by another process. The user can now decide if 'Reparse Point' (A.K.A 'Junction') files/folders are included when scanning for files/folder to add to the compilation. A Reparse Point is a type of NTFS file system object (implemented in Windows 2000 and later versions) that provides extended functionality to an NTFS volume. The most notable examples of reparse points include junction point, volume mount point and symbolic link. Junction point (also called directory junction) and volume mount point were introduced in Windows 2000. More recently, the symbolic links (for directory and for file) were introduced in Windows Vista. The common characteristic of these reparse points is that they store a reference path (called target) and behave as if they were the target object when accessed by most application programs. In Vista and Windows 7, your old friend, 'C:\Documents and Settings' is not a regular directory. Rather, it exists as a junction point whose target is C:\Users. Similarly, the 'All Users' directory inside '\Documents and Settings' is replaced by a directory-type Symbolic Link, 'C:\ProgramData\' whose file attributes are usually marked with the hidden and system bits. These reparse points are presumably provided for the backward compatibility's sake. ImgBurn will look for and optimise duplicate files so that only one copy of that file actually exists in the image or on the disc. 'Build Mode' now groups files by an entire directory (including sub directories) rather than doing it by directory level. This option makes it revert to doing it by directory level. If disabled the files will be sorted in alphabetical order on the image. If this option is disabled and you browse for a file and pick a '.lnk' (Windows Shortcut File), it will add the .lnk file (~1k) to the ISO image. Enabling this option and browsing and picking the same .lnk file, will add the file referenced by the link. For example with this setting disabled, Imgburn.lnk will add the 598 byte .lnk file. With the setting enabled, Imgburn.lnk puts the 970+k .exe file in the image. Option to control whether or not the current selection within the 'Copies' drop down box gets remembered / saved when the program is closed down - and thus restored when it's opened again. When ImgBurn starts in 'Build Mode' it will default to the last selected Information tab that was used the last time you used one of those tabs. It will also remember the sub-tab in the case when the 'Advanced' tab was selected. By default, ImgBurn will update the Graphical User Interface (GUI) with any proposed setting changes it detects are required when you're building a disc. If you have the setting 'Don't Prompt Volume Label' disabled and you have not specified a Volume Label, ImgBurn will create one for you and show you the result for you in a window. With this setting you can allow ImgBurn to automatically press the 'Yes' button for you after x amount of seconds if you move the glider to your desired time. This option is only for people adding DVD ROM content to their DVD Video disc. If you're burning non DVD Video data too, as adding DVD ROM content to the DVD Video disc, you can set where you want the DVD Video data (VIDEO_TS folder) to be positioned. Either at the start, mixed in or at the end. It defaults to mixed in. This option was mainly added for people doing DL builds whereby the location of the folders could actually have an effect on which layer break positions were made available to them. Otherwise it doesn't make a difference. So it really doesn't matter where it's positioned on the disc, so long as the files within it are properly positioned. (i.e. the ordering - IFO -> VOB -> BUP, and the LBA sector pointers / offsets etc). Positions the VIDEO_TS folder at the start of the disc. Positions the various files/folders in alphabetical order with the folders first. Positions the VIDEO_TS folder at the end of the disc. If you look at the files on a DVD, you will notice that most DVDs have both a VIDEO_TS and an AUDIO_TS folder, but the AUDIO_TS folder is usually empty. DVD Audio would be stored in an AUDIO_TS folder but is a separate format to DVD-Video. The AUDIO_TS folder isn’t needed on Video DVD’s but some really old DVD players require one to be present. This option will ensure that there is always created an AUDIO_TS folder if it's not there from the beginning. All files/folders inside the VIDEO_TS folder that is not a BUP, IFO or VOB file will not be included in the build. E 00:00:00 Fix VTS Sectors Failed! - Reason: Could not find VIDEO_TS.IFO file. E 00:00:00 Fix VTS Sectors Failed! Reason: VIDEO_TS.IFO is not a valid IFO file. By disabling this option, ImgBurn will not do this check and possible corrections in the IFO/BUP files and you will face the risk that you will end up with a non playable disc. There can be gaps on a DVD. The most notable ones are those used to ensure that no ECC block contains any portion of an IFO file and its associated BUP file. Often times, you will see commercial DVD's authored with tiny menu files of 40 or 50 kb, exactly for this purpose. Since ECC blocks are 16 sectors long (32K), the easiest way to accomplish this is to ensure that there are 16 sectors between the end of the IFO and the start of the BUP. With VIDEO_TS.VOB or VTS_xx_0.VOB files less that 32K (or absent) this means using a gap. If an IFO is unreadable (e.g. a CRC error in a sector), the player looks for the BUP, which is stored on the disk right after the VOBs for the title set. Now suppose the VOB's for that title set are small and the data is packed in. There is a chance that the BUP occupies exactly the same bad block that the IFO did, making the BUP useless and the disk, dead in the water. Essentially, the basic problem is that without the proper spacing, a single CRC error that would normally only affect one of the two files will affect both, rendering both useless. If proper spacing exists, it would take at least two CRC errors (one affecting each) to render both the IFO and BUP useless. This option ensures that the AUDIO_TS, VIDEO_TS and JACKET_P folders are all upper case in all file systems and that known files (i.e. IFO/BUP/VOB) are also upper case. If there is a formatted DVD Text Data available, as part of the data in VMG_TXTDT_MG table in the VIDEO_TS.IFO file, ImgBurn will use that string as the 'Volume Label' Name. 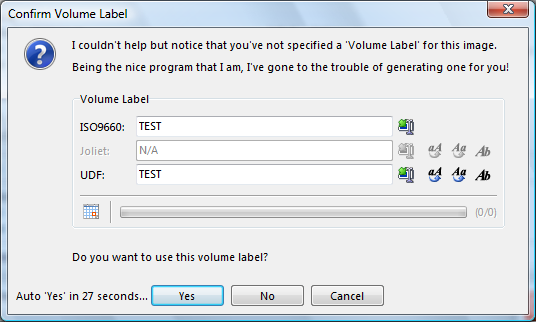 Also, if the DVD-Text General Name is not specified, the Volume Label will instead be derived from the DVD folder name. For example, if your DVD files are in C:\Videos\My DVD\VIDEO_TS, the Volume Label name will be 'MY_DVD'. When suggesting a volume label for a HD DVD Video image/disc, the program will read the disc name specified in the 'VPLST000.XPL' file. 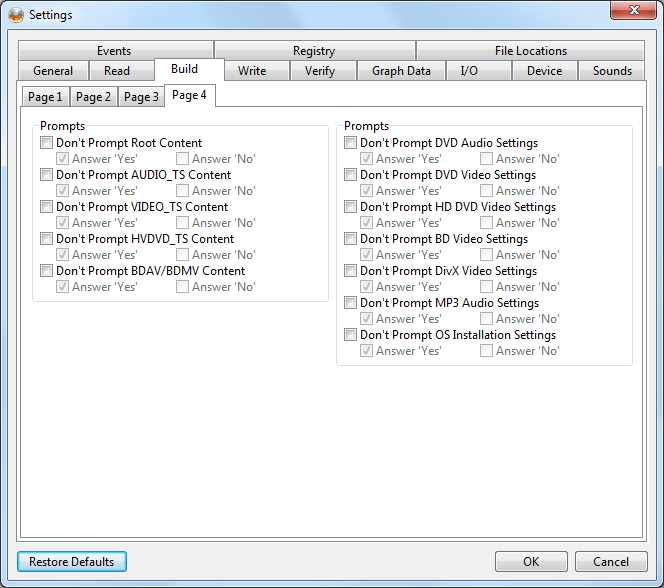 If enabled, this option ensures that the BDMV folder contains all the basic folders required for successful playback in PowerDVD. 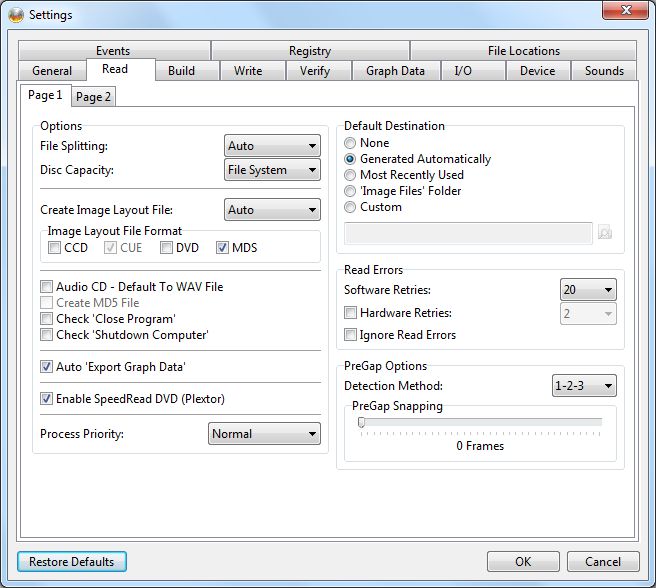 The 'CERTIFICATE' folder is necessary for the disc to play back correctly on some devices and this setting will create such a folder on Blu-ray Video discs. This option will reset the CPI (Copy Permission Indicator) flags within M2TS file packets when you create an image/disc in Build mode. This was a request from someone at a duplication plant to save them having to mux two projects - one with AACS and one without. 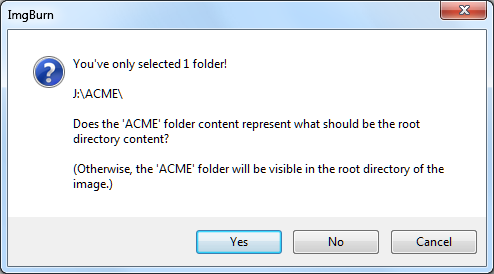 The 'Reset Copy Permission Indicator Flag' feature automatically disables itself if the compilation includes an 'AACS_bd' or 'AACS_mv' folder in the root. When suggesting a volume label for a BD Video image/disc, the program will read the disc name specified in the 'BDMV\META\DL\bdmt_eng.xml' file. A buffer is a region of memory which can be used to temporarily hold data. This buffer will be used to temporarily store the data that is being read from the media before it is being processed and then written to your hard disk. The default setting is - less than 1GB RAM = 20MB, Less than 2GB RAM = 40MB, Everything else = 80MB. 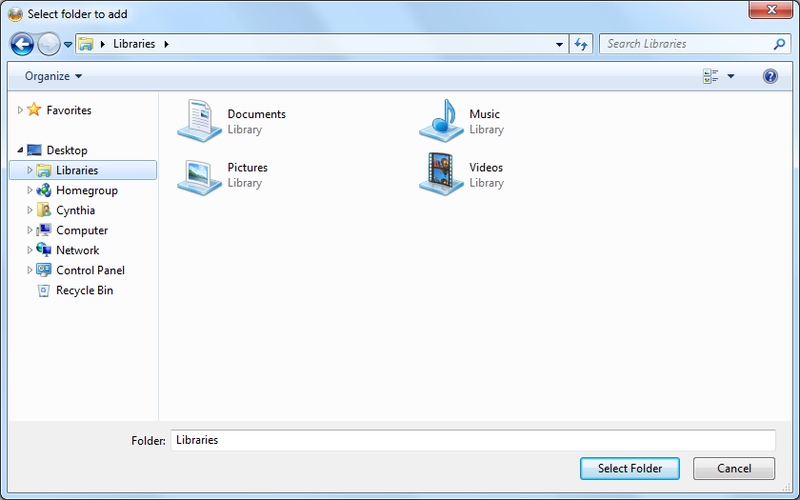 Option to set the initial folder for the Explorer pane in the 'Disc Layout Editor' window. Keeps the Disc Layout Editor window 'stay on top' of other windows while it's open. When enabled, the target of *.LNK files is added to the compilation rather than the LNK file itself. Applies to Advanced Build mode and only to items being added directly, not sub folders/files. If this option is enabled, ImgBurn will show the associated file type name of the file types that have been added to the 'Disc Layout Editor' windows column 'Type', in the 'Advanced' Build Mode. If you add a file with the extension 'TXT', it will show 'TXT File' and if you add a file with the extension 'EXE', it will show 'Application'. If you disable this setting, ImgBurn will only show the standard value 'File' in the 'Type' column for all added files. ImgBurn will not ask you to answer this window when you try to create an 'Empty Disc' in the 'Advanced' input mode window. Pressing this button will clear the files listed in the 'Most Recently Used' list. They will not physically be removed from your hard disk. The TV System info is retrieved from byte 0x200 (i.e. 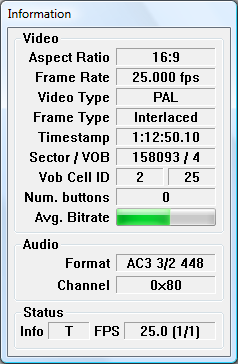 video attributes of VTS_VOB's) in the largest IFO file in your VIDEO_TS folder. ImgBurn will not ask you to answer this window. Answering 'Yes' will proceed with the image building task. Answering 'No' will take you back to 'Build' mode. This option is for Windows XP (and older) OS's that don't have a known 3rd party UDF 2.50+ driver installed. The program now checks for 3 drivers - Toshiba, Matsushita and Cyberlink UDF 2.50+ filter driver - before displaying the warning that the OS doesn't support the chosen UDF revision (if 2.50+) and a UDF 2.50+ formatted disc potentially being unreadable. 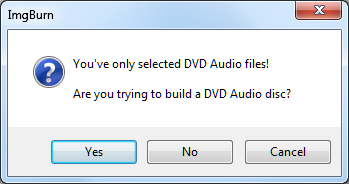 Option to be asked if you want to build a DVD Audio disc. 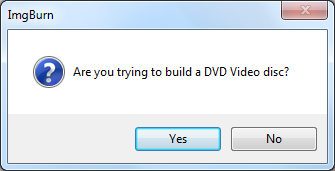 Option to be asked if you want to build a DVD Video disc. 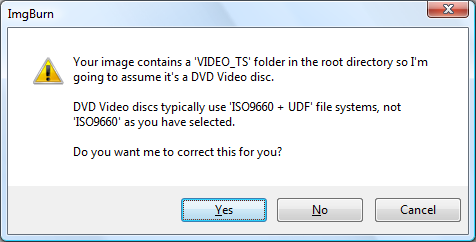 Option to be asked if you want to build a HD DVD Video disc. Option to be asked if you want to build a BD Video disc. 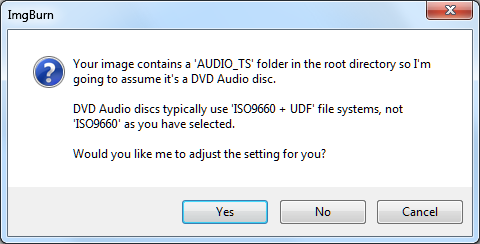 Option to be asked if you want to build an OS Installation disc. If you add a single folder you will not be asked to answer this window. If you add more than one folder (folder or file), it's NOT the root and so you're not given the prompt. DivX, XviD... it's all the same thing. 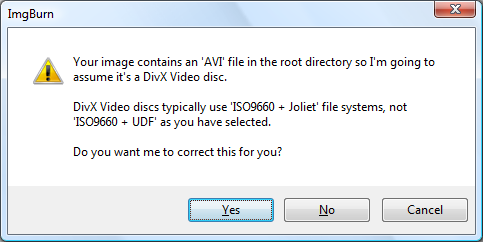 So far as the program is concerned, it's any disc that has a *.avi or *.divx file on it in the root directory. This window is to help people (newbies) make discs that stand a decent chance of working on their standalone players. Most will not read the UDF file system and the ISO9660 one is limited to 8.3 characters. So basically, ImgBurn tells the user to switch to a file system option that includes Joliet. There are four 'Write Modes' in ImgBurn.. The program will take a certain path through the various functions depending on the enabled 'Write Mode'. The 'Auto' setting will auto detect the inserted media type and use the appropriate 'Write Mode' for you. There are four methods of writing discs in ImgBurn: Incremental, Track-at-once (TAO), Session-at-once (SAO) and Disc-at-once (DAO). On DVD/HD DVD/Blu-ray the only supported write types are Incremental, SAO/DAO (and 'Layer Jump' but that only applies to DVD-R DL and isn't supported by ImgBurn because it's a waste of time). Disc-at-once is used to write the media in one continuous process. The laser is not turned off until all information has been written to the media. Session-at-once (SAO) and DAO are basically the same thing. It's called SAO on CD and DAO on DVD/HD DVD/Blu-ray. If you select anything that's not supported it'll just default to SAO/DAO. Selecting Incremental for CD's will defaults to SAO/DAO as it's not implemented for CD's. Unlike 'at once' recording, incremental writing (or packet writing) is a recording method which allows data tracks to be divided up into small chunks called packets (typically 64 Kb - 1 Mb in size). Each packet can then be written separately to the disc, with interruptions if necessary. Between the writing of packets, there are virtually no data rate constraints. This means that writing can be interrupted for an unlimited amount of time, which reduces the risk of buffer under runs when writing large amounts of data to a DVD. Using Track-at-once (TAO) means that after each track is written, the writer drive turns its laser off and makes any necessary alignment changes before continuing to the next track. When writing an audio CD, Track-at-once can be good to use because it gives the writer drive and the source device a quick break between tracks. This allows the source device a chance to fill the buffer, or cache on the CD-Writer drive to better ensure that buffer under runs are avoided, if possible. The two second gap between songs when playing back an audio CD are the breaks on the disc when the laser was turned off during writing. Session-at-once (SAO) and Disc-at-once (DAO), as its name implies, is the process of writing an entire disc's worth of data in a single operation, and the disc is closed, without ever turning off the writing laser. There are a few reasons why SAO/DAO may be used. The main reason why SAO/DAO would be selected has to do with the material being written to the CD. Many audio performances do not have silent breaks between pieces; for example, in live concerts the audience fills the gaps between songs. If the audio events to be recorded are meant to be played back with no silent gaps between tracks, SAO/DAO should be selected. 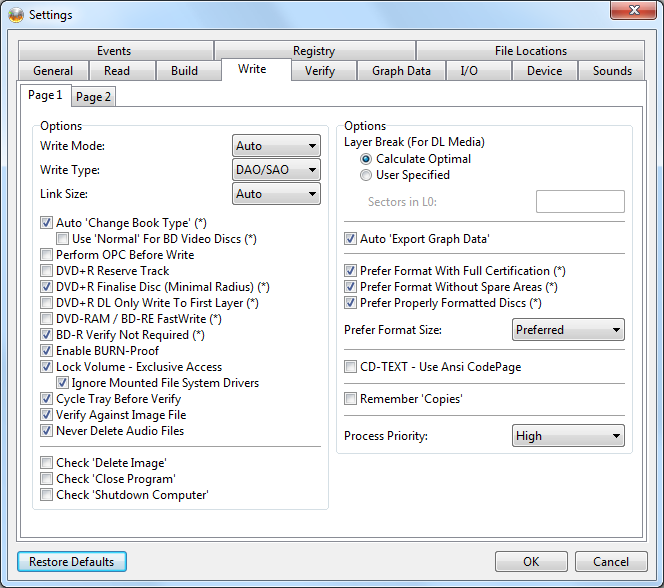 This setting specifies the number of link sizes available for the current media and it may be 0, 1, or 16 for DVD media. For most media, this field should be 1. For CD media it's always 1.. Applies to LG, Lite-On, NEC/Optiarc and Samsung drives. Certain older DVD players, including DVD players in some laptop computers, will not load DVD-R or DVD+R disks at all because those formats did not even exist when the player's firmware was written. However, by changing the bit setting on a DVD+R to DVD-ROM, those players should be able to load and play the DVD+R. Samsung (using the identifier 'TSSTcorp') and LG (using the identifier 'HL-DT-ST') drive owners will automatically have all their +R /+RW /+R DL media changed to look like a DVD-ROM disc via bit setting. (Note: +RW bit setting isn't supported by the LG drives though). For NEC based drives with original firmware only +R DL media will be book typed to 'DVD-ROM'. For +R/+RW media need first to flash the burner with a patched firmware, that then allows for the book type to be changed to DVD-ROM. You can read more in the guide Book type +R/+RW media on NEC/Optiarc drives. The book type commands are sent to the drive before each and every burn the program makes. Obviously just for 'Plus' format media - i.e. DVD+R, DVD+RW, DVD+R DL. Either the program tells the drive to change the book type to DVD-ROM or it doesn't and the drive will do whatever it had already been told to do by other programs (or by ImgBurn's 'Change Book Type' screen). Option to have the program automatically set the book type to 'Normal' rather than 'DVD-ROM' when burning a BD Video (BDAV/BDMV folder is present) disc. Some players won't play BD (AVCHD ?) content from a disc with its book type set to DVD-ROM. Performing Optimum Power Calibration (OPC ) is a special technique used in newer CD/DVD recordable drives to perform a test write and read in an area inside of the lead-in, in order to determine the best laser power for recording and to adjust to each recordable disc, which may vary slightly from different manufacturers, or for other reasons. This setting makes ImgBurn send the 'Reserve Track' command to the drive before it starts writing all the time when burning DVD+R/+RW format media. Basically, when burning DVD+R/+RW you can either just go right ahead and start sending 'Write' commands or you can send 'Reserve Track' and then send 'Write' commands. If you send a 'Reserve Track' command first, the drive knows right from the start how much data you're intending to burn. That way the drive already knows how much data to expect and can update the disc's TOC or whatever accordingly. It will either accept the track size you specify, or it'll reject it. As such, you'll know if an attempted 'overburn' is going to work or not. If you don't send the command, it could fail at any time if you try to write beyond the end of the disc. Most drives will allow 'Reserve Track' + 'Write' to the same size it allows just 'Write' to - and I'm mainly talking about overburning here. Some drives, as BenQ drives, need the command to be issued prior to burning if you're attempting to overburn. Without it, the 'Write' command fails at the 'normal' end of the disc. It's like some secret overburning method! This option was added in the settings when support for BenQ overburning was added. ('DVD+R Reserve Track' is automatic when overburning). For normal size burns, there's never a need for reserve track on DVD+R/+RW, it's totally optional and most programs don't send it. It's really just these in case you have a weird drive that does things differently if it's sent. It's not an option you should even need to touch. It's always sent for DVD-R/-RW media (because it needs to be) but it's not needed for DVD+R/+RW format media. No matter how much (little) you burn on a DVD+R, it'll tell the drive to pad it out to a predefined amount so that at least 1GB is burnt to the disc. This is done in order to achieve maximum compatibility with drives when reading back. So basically, you shouldn't ever have a reason to turn it off. Applies to DVD+R DL media. When a small image is being written, write everything to the first layer (L0) instead of writing equal amounts on both layers. This is pretty much a bodge to disable the 'verify' part that's built into normal DVD-RAM/BD-RE burning. This prevents the drive from performing its own internal write + verification, leaving verification down to the software. This is pretty much a bodge to disable the 'verify' part that's built into normal BD-R burning. This prevents the drive from performing its own internal write + verification, leaving verification down to the software. The BURN-Proof technology allows you to avoid buffer under runs by suspending and restarting the write process when the recorder's buffer is about to empty. This is for situations where your computer is unable to send data to the drive quickly enough to keep the buffer full. It will not help you if your computer loses power, your software crashes, your media is of poor quality, or you smack the drive hard enough to disrupt the recording process. Nearly all CD/DVD recorders announced in or after 2001 features some variation of the buffer under run protection. Ideally, the results of interrupted and uninterrupted writes would be identical. In practice, there may be a small glitch at the point where writing was suspended. The general consensus is that these technologies are effective and do not result in noticeable glitches. This will stop other programs for using the drive while ImgBurn performs tasks with it. If you have Windows XP SP3 x86/x64 based version, Windows Server 2003 SP3, Windows Vista or Windows 7 installed and also have the 'SPTI - Device Enumeration Method' options 'Device Interface', set as default in the settings tab 'I/O', ImgBurn will now also tell you which program that is that is currently locking one or more of your drives, if ImgBurn can't get exclusive access. I 00:00:00 ImgBurn Version 2.5.0.0 started! E 00:00:00 This drive is currently locked for exclusive access by 'ACME Super Burner - PID: 2744'. E 00:00:00 This drive will not be visible in the program. I 00:00:00 Found 1 DVD±RW, 3 DVD±RW/RAMs, 1 BD-ROM/HD DVD-ROM and 1 BD-RE! If you should see this warning message in the log and you are running Windows XP SP2 or Windows Server 2003 SP2, you need to install the Image Mastering API v2.0 (IMAPIv2.0) update package (KB932716), to be able to lock the drive. W 00:00:00 DeviceIoControl(IOCTL_CDROM_EXCLUSIVE_ACCESS, Lock, 1) Not Supported! - You need to install the IMAPI v2.0 update or Service Pack 3! This option is only available if you also have enabled 'Lock Volume - Exclusive Access' and is only of interest if you also have 'SPTI - Device Enumeration Method' option 'Device Interface' selected in the 'I/O' tab. 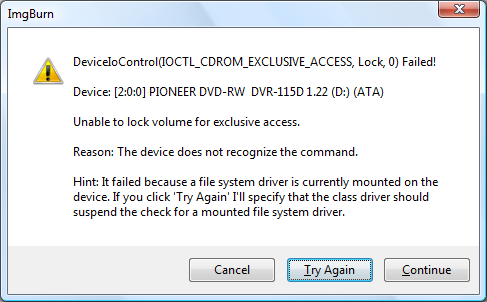 This setting i used if the program attempts to lock a device while the file system driver is mounted and fails to lock it. 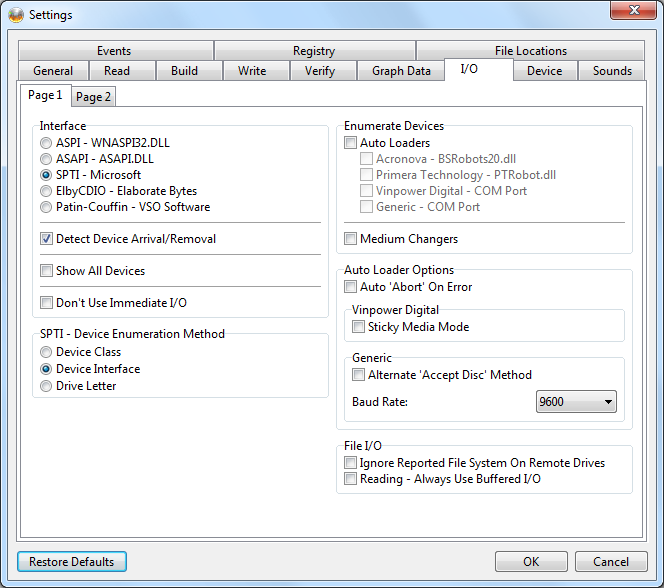 The setting suspends the check for a mounted file system driver. An example is if you try to format or write to a rewritable disc that already contains data. This setting saves you from having to press the 'Try Again' button in this image, as the window will not show up at all. This option will run the verify process against the actual image you burned. If not enabled - it will only try to read the burned disc so it behaves more like version 1.0.0.0 where it just checked that the sectors could be read. Option to never delete audio files when deleting files (having been told to!) after a burn/verify. This makes it safer for people burning audio discs via the 'Create CD CUE File' feature. This will pre-check this option in the 'Write Mode' window. After a successful burn the image source will be automatically deleted. 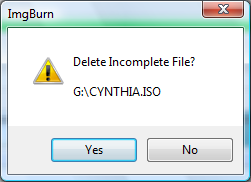 After a successful burning, the program will terminate itself. This will pre-check this option in the 'Write Mode' window. The layer break point is the place where a dual layer DVD switches from the first layer (layer 0) to the second layer (layer 1). 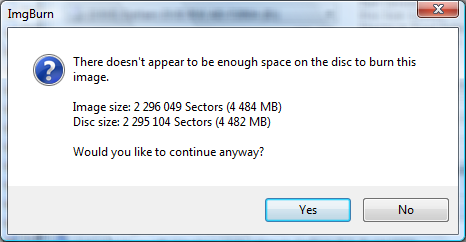 DVDs are laid out in sectors (each sector contains 2048 bytes of content), starting with sector 0 (zero). The break point is the sector address of the first sector on the second layer. This number also represents the number of sectors on layer 0. It is recommended to let ImgBurn place the Layer Break for you. ImgBurn will calculate the optimal layer break. You can insert where you want the layer break to be present. The number of sectors in L0 (the first layer of the disc) i.e. if Layer 1 starts at LBA 10, Sectors in L0 = 10 and then 0, 1, 2.... 9 = 10 sectors. It is not necessary to specify the number of sectors in L0 for DVD+R DL discs, since the layer break can be at any position on L0. On DVD-R DL discs, it is necessary to know exactly the number of sectors in L0, because the first layer must be filled completely with data. If you are going to burn a DL XBox360 game backup on a DVD +R DL, you need to enter the value 1913760. Data captured during the write (write speed, buffer levels etc) can be displayed / analysed using either BurnPlot, DVDInfoPro or Opti Drive Control. This setting is only for BD-RE media. This option allows you to choose if you want to perform full certification where the drive tests all the sectors and maps out any bad ones, or not (the opposite being 'Quick Certification' !) when full erasing BD-RE. This setting is only for DVD-RAM and BD-RE media. The whole thing about leaving the spare areas enabled is that if a sector on the disc is found to be a bit dodgy, it can be mapped out of use. When you use the entire disc (no spare areas), that can't happen and your bad sector becomes 'available' for use again, even if it's not readable/writable. DVD-RAM has spare areas used for defect management. This is done by the drive itself, so there's no way around it. As far as the OS is concerned, a DVD-RAM is exactly like a hard drive. Any bad sectors are remapped automatically and the OS never knows about them. If a DVD-RAM drive detects a defect during use, it will automatically map the bad sector back to either 'The Primary Spare Area' (PSA) or the 'Secondary Spare Area' (SSA), if one exists. Unfortunately, this means that the head has to seek to the spare area each time it hits a remapped sector. However, during a low-level format, all of these remapped sectors are actually mapped differently. In this case, it will use "slip" remapping, so that no extra seeking is necessary. This is only possible during a full format because slipping basically pushes all of the sectors back by one, and you can't just do that on the fly. The PSA is always 26 MB and is at the beginning of the media. The SSA is variable-size and is at the end of the media. By default, it's about 100 MB. But the cool part is, if you think the PSA is enough, you can reformat a DVD-RAM to eliminate the secondary spare area. After the format you media, in this case a DVD-RAM, it will report that the 'Current Format Capacity' is also equal to the 'Maximum Format Capacity'. If this setting is enabled, the 'Format Type' (FT) 0x31 and it's 'Number of Blocks' (NB) will be the new format size. The 'Type Dependant Parameters' (TDP) value of 'Number of Spare Area Blocks' will be set to zero. Note: You can quickly change your existing 'spare areas' format to a 'no spare areas' one by turning off full certification and turning on the option to format without spare areas. If you also disable 'prefer properly formatted discs', it won't try and zero all the sectors. A format is required on new DVD+RW, DVD-RAM and Blu-ray media and those that haven't been properly formatted in the first place. When unchecked, it will only prompt when in the 'Formatted: No' state (i.e. when it really has to format). If it doesn't say 'Formatted: Yes' in the info panel on the right in the 'Write' mode window, ImgBurn will perform a full format. After that the DVD+RW, DVD-RAM or Blu-ray disc is just overwritten without the need for any sort of erase (it's not like DVD-RW in that respect). You should only need to do this formatting once so if you find you're doing it all the time (on the same disc), either your drive isn't formatting properly or some other tool/drive is screwing up the format. If you find ImgBurn's methods don't fit with how you like to do things, just uncheck this setting and it will then allow writing to media even when it hasn't been fully formatted - note, brand new DVD+RW must ALWAYS be formatted before use. There's no way around that (although you might not see it happening). The 'Prefer Properly Formatted Discs' option will make ImgBurn zero fill all the sectors on the Blu-ray disc once the drive says it's finished doing its part (i.e. preparing the disc for the new formatted size and certifying it). If you disable full certification and properly formatted discs it'll only take about 30 seconds - but you should only disable certification if you know the disc is 100% fine (or don't care if it's not). This setting allows you to set the desired size of the formatted disc. If this setting is selected, the new format size will be the 'Number Of Blocks' (NB) value from the first descriptor in the list. If this setting is selected, the lowest value of 'Number of Blocks' (NB) found an a 'Format Type' (FT) 0x30 row will be the new format size. If this setting is selected, the highest value of 'Number of Blocks' (NB) found an a 'Format Type' (FT) 0x30 row will be the new format size. If you enable this setting, the CD-TEXT label in the function 'Create CUE File' will use the 'Ansi Code Page' character set, instead of the default Unicode character set. This to to ensure backwards compatibility with some older systems. The default setting is 'High'. If this option is enabled and if you choose to abort the burning you will not be prompted for the 'Close Track/Session/Disc' functions and also if the burning fails, ImgBurn will skip the 'Close Track/Session/Disc' commands. ImgBurn will try to close the 'Track/Session/Disc' on a failed burn. ImgBurn will not try to close the 'Track/Session/Disc' on a failed burn. If you have enabled the option to 'Cycle Tray Before Verify' you might see this prompt. It should only pop up on a laptop (or other) drive where ImgBurn can't 'load' the tray, only 'eject' it. If this option is enabled, ImgBurn will not ask you if the files should be deleted or not after the writing. ImgBurn will delete the files. ImgBurn will not delete the files. If you enable this option, ImgBurn will erase your RW disc automatic if it's needed. If you enable this option, ImgBurn will format your +RW disc automatic if it's needed. If you enable this option, the program will overwrite your RW disc automatic. Option to control the 'retry for remaining copies' / 'try burning image again before trying next image' prompts. It would normally ask if you want to retry (and if applicable, for however many 'copies' failed) before moving onto the next image in the list. You can suppress/control those prompts by adjusting this option. ImgBurn will burn the image again. ImgBurn will not burn the image again and just jump to the next task in the queue. 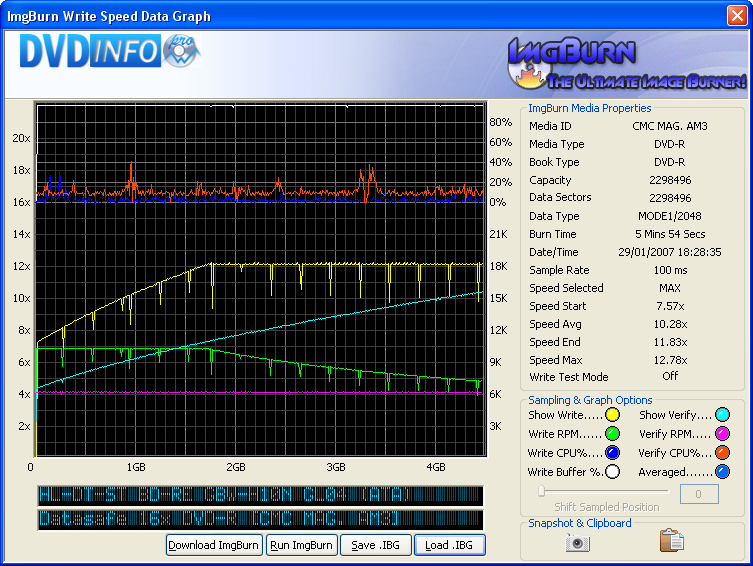 Overburning is the process of writing more audio or data than the official capacity limit on a disc. ImgBurn offers two methods of overburning discs. The one that you select as default in this setting, will be pre selected in this pop up window when an image or a build bigger than the official disc size is to be written. ImgBurn will write until the end of the image. Option to truncate image (not physically!) when burning to a smaller disc rather than always attempting to overburn. ImgBurn will write until the end of the disc. It writes as much as it can and then closes the disc. When you burn a disc the program will retry to write that sector as many times as you has set it to do until ImgBurn gives up. If this option is enabled, ImgBurn will auto retry when the close track/session/disc commands fail. If the close track/session/disc commands fail, this option will automatically ignore such failures. Keeps the Write Queue window on top of other windows while it's open. When you use the 'Queue' function and the previous disc is done, this option will eject the tray for you. When you use the 'Queue' function, ImgBurn will ask you to insert a new disc and after that is done it will wait 10 seconds by default before it starts the burning process. In this option you can specify how long that time should be. It can be set to a time between 1 second and 5 minutes. This option will automatically load the next blanc disc for you when you are using the 'Queue' function and if the 'Next' drive has a changer device associated with it. Compact Disc-Digital Audio (CD-DA) Data is generally read out at a "standard speed" (about 150 KBps) equal to a sampling frequency in order to reproduce it as a normal sound (that is, the data is reproduced without buffering data). On the other hand, CD-ROM data can be read out at a higher speed while using buffering of the data or a similar technique. This makes the verify very slow. Ignore non user data within sectors. i.e. So with Mode1/2352 images, it only compares the real 2048 user data bytes. Option to automatically ignore miscompare errors during the verify process. This will pre-check this option in the 'Verify Mode' window and after a successful verify the image will be erased. This will pre-check this option in the 'Verify Mode' window and after a successful verify the program will be closed. This will pre-check this option in the 'Verify Mode' window and after a successful verify the computer will be automatically shutdown. Data captured during the verify (read speed, buffer levels etc) can be displayed / analysed using either BurnPlot, DVDInfoPro or Opti Drive Control. 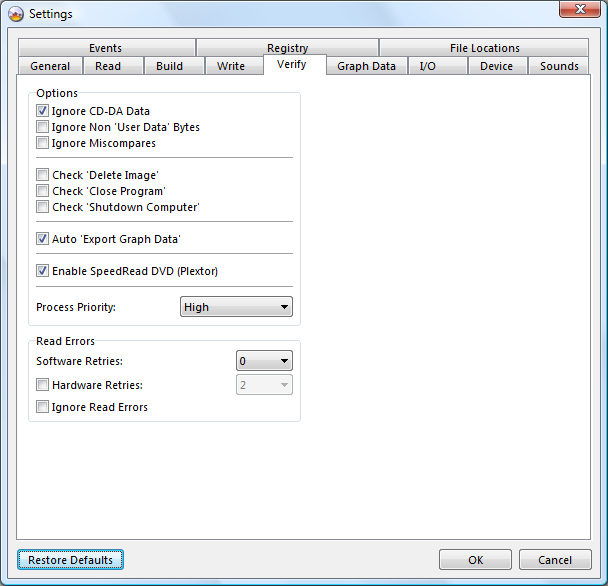 SpeedRead allows the user to change the reading of DVD media up to the maximum speed of the drive. Discs that may be damaged due to mishandling or improper use may shatter due to the higher rotational forces reached at the maximum read speed of the drive. The drive's maximum read speed is therefore limited as a safety function. SpeedRead enables the user to increase the read speed of the drive to the maximum possible. Plextor recommends examining each disc before enabling this function. Allows you to capture 'Graph Data' from a read/write task in ImgBurn and also have it saved to the default Graph Data folder. 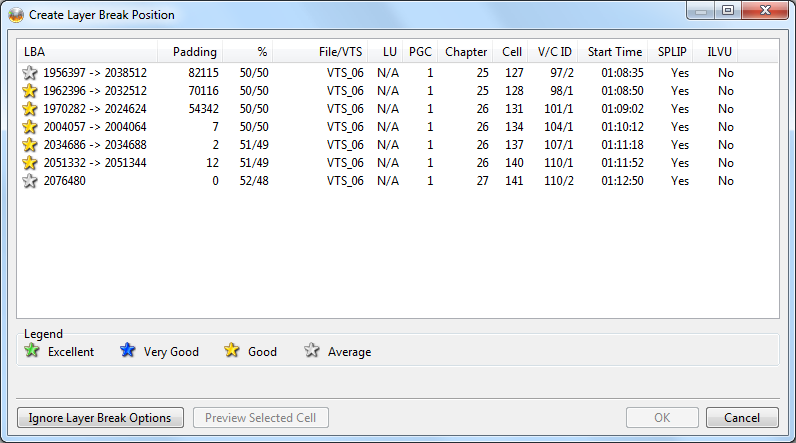 You can see exactly what speed your drive was during read/write and when. You can display the captured Graph Data in either the freeware program BurnPlot, DVDInfoPro or Opti Drive Control. If you disable the setting, you will receive this message when you try to display graph data. This is an example from DVDInfoPro of the 'Graph Data' you will see if you enable and use this function. If this option is enabled it will capture the processors usage during the time ImgBurn performs the various tasks as read, write and verify and then show it in the Graph Data in either the freeware program BurnPlot, DVDInfoPro or Opti Drive Control. Note: Windows Vista prevents non-admin users (or admins where UAC is enabled) from accessing the performance counters. 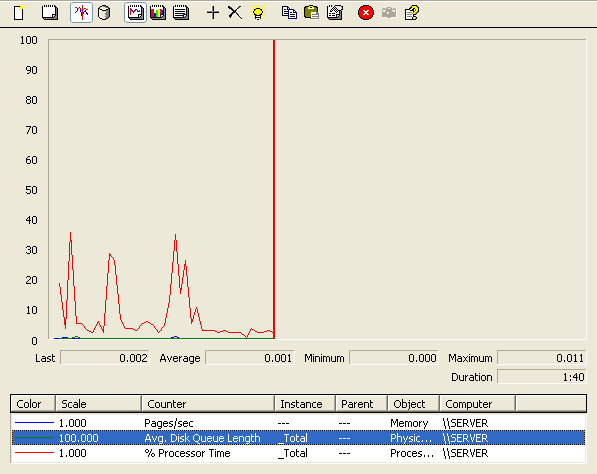 Because of this, ImgBurn is unable to collect and record '% Processor Usage' as part of the IBG (Graph Data). The guide 'How to get the graph data to include CPU usage under Vista, For non-admin users or admin with UAC enabled', will tell you how to circumvent this problem. 'Sample Rate' allows you to set the interval for the data to capture (ranges from 10ms to 1 second with the lower numbers equating to more data captured). The default setting is '100 ms'. The other graph options allow you to name the graph based on your drive's make and model and the time and date of the burn. The saved file will have the same name as the last one that was saved. As all will have similar names, ImgBurn will add a duplicate number (#) at the end of the file name to separate them. With the various strings you can compose your own file name. In the bottom of the 'Graph Data Settings' window you can see how your string will look. Only keeps one space between the various options. The space between the various options will be replaced with '_' (underscore) signs. You can here select whether you wish to use BurnPlot, DVDInfoPro or Opti Drive Control as the default graph viewer. This sets BurnPlot as the default viewer. You need to have BurnPlot installed in the ImgBurn program folder in order to be able to use it as a graph viewer. The program is a freeware. This sets DVDInfoPro as the default graph viewer. 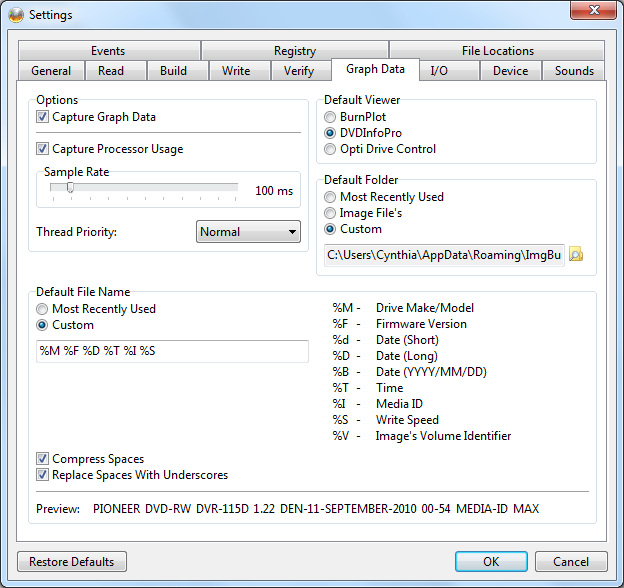 You need to have DVDInfoPro installed in order be able to use it as a graph viewer. The program has a 14 days trial period. This sets Opti Drive Control as the default graph viewer. You need to have Opti Drive Control installed in order be able to use it as a graph viewer. The program has a 30 days trial period. Lets you decide where you want the captured 'Graph Data' to be saved. The location you last used to save captured 'Graph Data' in. 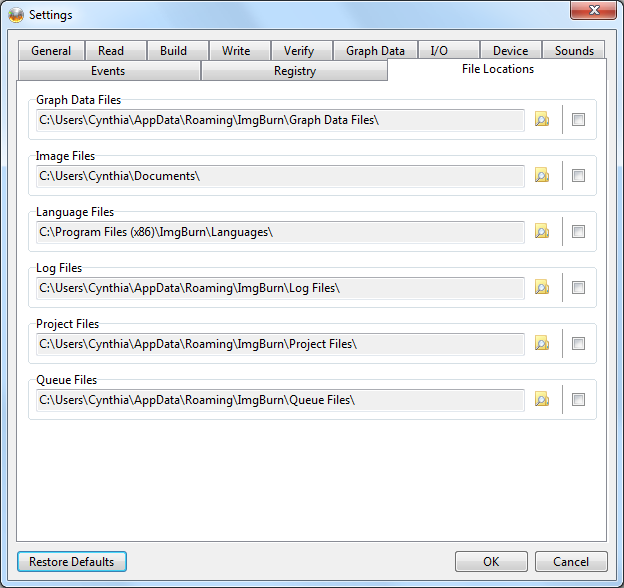 The location you have specified in the 'File Locations' tab for 'Graph Data Files'. Lets you decide where you want to save them. If you change the location here, it will also be changed in the 'File Locations' tab for 'Graph Data Files' automatically. You can select how ImgBurn accesses your drive(s). All other options than 'SCSI Pass Through Interface' (SPTI) require special drivers that you first have to download and install. 'Advanced SCSI Programming Interface' (ASPI) is mainly for compatibility with Windows 95/98/Me. The various ASPI drivers can be download from the ImgBurn Download Page. Nero's AG's version of ASPI. A special system file for use with CD and DVD software and is designed to interface with IDE, SCSI and USB CD-ROM/DVD drives and CD/DVD-Recorders. The advanced ASPI programming interface (ASAPI) layer is a system file created by VoB Computersysteme GmbH. Both IDE and SCSI devices can be used. It is supposed to be 10-15% quicker than normal ASPI layers. The default SCSI Pass Through Interface (SPTI) works if you have a Microsoft NT based operating system (Windows NT, Windows 2000, Windows XP, Windows Server 2003, Windows Vista and Windows 7), and does not require any special drivers. Eloborate Bytes AG's version of an ASPI layer. Patin-Couffin access layer device I/O interface. Microsoft Windows will send a message to ImgBurn whenever some hardware change occurs, including when a flash drive (or other removable device) is inserted or removed. If this is set to 'disabled', ImgBurn will only show you CD/DVD/HD-DVD/Blu-ray compliant devices. The Immediate I/O only comes into play when sending the Erase/Format Disc, Sync Cache, Close Track, Close Session and Finalise Disc commands. They're the only ones where the program really has to 'wait' for it to finish. When this setting is enabled, the drive performs the function associated with the command before returning control to the program. When the setting is disabled, the drive just validates the command before returning control to the program. It's then down to the program to figure out when the drive has finished performing the function associated with the command. By not using it, there is no way to provide the user with any sort of progress % feedback etc as the drive only returns control to the program once it's totally finished. Normally the drive just validates the command and then returns control to the program - the program then polls the drive to see if it has finished and picks up the progress info along the way. it might be a good try to enable this setting. This is how ImgBurn talks to your drives and there are three ways to identifying all the devices attached to a system and initializing the required routines (drivers) that enable them to function when using SPTI. The common method is to open them using the path '\\.\CdRomX' - where X is some number. That's the 'Device' class. An alternative is via their drive letter using the path '\\.\X:\' where X is the drive letter. That was mainly added for Linux users who use the program under Wine. 'Device Interface' is a later method only available in recent Windows versions like Vista and Windows 7. The different options *might* go in at different levels too. 'Drive Letter' being the highest level, then Device Class' and 'Device Interface' is the lowest. 'Device Interface' seems to go so low that it bypasses functions whereby you can 'lock the volume' - hence that command might fail. The program also falls back to 'Drive Letter' if the other two enumeration methods return 0 drives. Note: This setting is not available in Windows 95, 98, Me and NT 4.0. Windows 2000 and Windows XP SP2 (or lower XP version) will default to using 'Device Class'. Linux systems using the program in Wine will also default to this option. Default setting for Windows XP SP3, Windows Vista, Windows 7 and newer. 'Device Interface' itself works fine on Windows 2000 onwards but the locking function (IOCTL_CDROM_EXCLUSIVE_ACCESS) was only added in XP SP3. The normal locking function 'FSCTL_LOCK_VOLUME' doesn't work with the 'Device Path' to the drive that 'Device Interface' enumeration returns... so if you select 'Device Interface' on anything pre Windows XP SP3, the program won't be able to claim exclusive access of the drive. Note: If you have Windows XP SP2 x86/x64 based version or Windows Server 2003 SP2 with the Image Mastering API v2.0 (IMAPIv2.0) update package (KB932716) installed, the program will set your default setting to 'Device Interface'. When running the program in Linux in Wine, this setting might solve detection issues of devices, if the default setting 'Device Class' doesn't work. Enables the enumeration of auto loader devices in ImgBurn. Searches for installed devices from the Acronova 'Nimbie' series of auto loaders. You can read more about the set up of the auto loader in the guide How to get your Acronova Nimbie USB auto loader working in ImgBurn. Searches for installed devices from the Primera Technology Inc. series of auto loaders. You can read more about the set up of the auto loader in the guide How to get your Primera Technology auto loader working in ImgBurn. Searches for installed devices from the Vinpower Digital's RipBox, series of auto loaders. Searches for installed 'Generic' auto loaders that use a COM port for robot communications. Enables the enumeration of medium changer devices such as the Sony VGP-XL1B2(3) model. 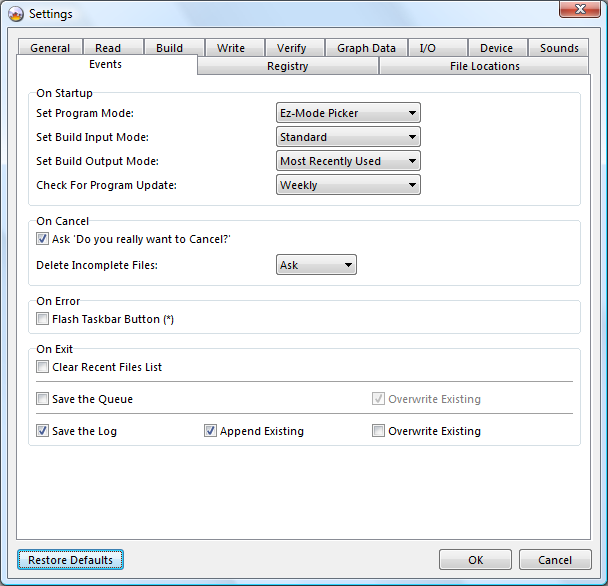 Enabling this option just fakes the user clicking 'Cancel' on some I/O error related messageboxes that would normally pop up if the drive encounters an problem whilst the program is 'Writing Sectors' (and the write retries have been exhausted) is prevented from doing so and the code (when that option is enabled) basically fakes the user clicking the 'Cancel' button. It only auto aborts if the drive has an auto-loader associated with it and the burn queue isn't empty (that includes there being 'copies' remaining in Build mode). There's a contraption on the end of the arm that picks discs up via the hole in the middle of the disc. When sticky mode is enabled the black arm thing goes to the bottom (that drawer pulls out and reveals the input / output bins) and engages the pickup mechanism (picks up the disc). The arm then starts to head back up to the top again before very suddenly coming to a halt, jolting downwards again, coming to a halt again (this is where any additional 'sticky' discs would fall off the pickup mechanism) and then returns to the rest position at the top of the unit. When sticky mode is disabled it just goes right down, engages the pickup mechanism (picks up the disc) and returns to the rest position at the top of the unit. Rather than opening the drive tray, issuing an 'Accept Disc' command (where the robot then picks up the disc and moves it to the output bin) and closing the drive tray again, it opens the drive tray, issues a 'Get Disc' command (where the robot then picks up the disc), closes the drive tray and then sends the 'Reject Disc' command (where the robot then drops the disc in the output bin). This is required for autoloaders that only have a single output bin (i.e. a single place for good and bad discs) - and one where the output bin can't be accessed whilst the drive tray is out. The Baud Rate is just a standard COM port setting that controls how fast the machine should talk to the device. Normally 9600 would be used but some devices may only work at faster speeds. The default setting is '9600'. Gives you the ability to ignore the reported file system on remote drives - so the program doesn't then force the 4GB file splitting limit on anything (possibly incorrectly) reported to be using FAT/FAT32. In buffered I/O, data is buffered and then sent to the device/file. In unbuffered I/O, the data is immediately sent to the device/file with no system caching - 'FILE_FLAG_NO_BUFFERING'. File I/O in Build mode (reading the files from the HDD) is by default using unbuffered I/O. File I/O in Write / Verify mode (reading the image file from the HDD) is also by default using unbuffered I/O when the image is a bog standard ISO file (single session, single track, MODE1/2048). Buffer is a block of reserved system memory that is used to store data in. This buffer is used to temporarily store the data that is being read from the CD/DVD/Blu-ray/hard disk before it is being processed and then written to your hard disk or media. When burning to a media, a drive doesn't write the data directly from the hard drive. Data has to be written at a constant rate, but the speed it comes from the hard drive can be variable, so the drive copies data into a buffer first. A buffer is a region of memory which can be used to temporarily hold data. A drive's buffer size (sometimes called cache size) is the amount of data it can store in preparation for writing to a disc. Whenever your hard disk can't keep reading the same speed needed for burning, the buffer will get empty, the 'Waiting for buffers to recover' message will be displayed and the burn will be resumed when all is back to normal. Most likely the quality of your burn won't be affected. This setting sets the Memory Buffer size. The Device buffer is internal on the burner and can't be changed. The default buffer size is set to 20MB for people with less than 1GB of RAM. Less than 2GB RAM is set to 40MB, Everything higher than 2GB of RAM is set to 80MB. The HDD activity (Average Disk Queue length) to reach the the value that is set for 'Avg Disk Q'. (This is a performance counter that you can monitor in the same way you do CPU usage). and the burn will be resumed when all is back to normal. Most likely the quality of your burn won't be affected. Raising the buffer won't actually make it recover any quicker, if anything it'll take longer as there's more buffer to fill (but it could make the pause less likely to happen in the first place). What you can do to avoid this is to defragment your HD regularly, close all unneeded programs and don't run 'heavy' programs while burning. Older burners might not have this 'Buffer Recovery' feature. These settings can be changed if you also have enabled the 'Buffer Recovery' setting. Do you ever see the 'Waiting for buffers to recover' message in your log? If not, these won't do anything - and you don't really want them to cut in early. Just make your main buffer bigger if your machine has trouble filling it all the time. If the Main buffer goes below this limit, the burner will wait for buffers to recover until it continues with the burning. The default setting is '20%'. What this setting will do is to set a level and if the device buffer goes below this limit, the burner will wait for buffers to recover. The default setting is '40%'. ImgBurn won't start back up until the 'Average Disk Queue Length' drops below the value you set. If there are lots of I/O requests being made and the drive is too slow to cope, the queue length obviously increases - until a point where I guess the OS just rejects them or something. The value is an average over ALL the drives, not just the 'source' drive. So any activity on any of the drives would push up the average and mean ImgBurn keeps waiting. You can monitor the 'Average Disk Que Length' value by running 'perfmon.msc' in Windows. If you are using Windows Vista you need to manually add the strings for 'Average Disk Que Length' in the 'perfmon.msc' program. The range 0 - 5 is just ImgBurn's own one, it's doesn't mean anything outside of ImgBurn. The default setting is '1,0'. You can here set the amount of KB that the program should read/write each time in the reading/writing cycle. There were just some crappy drivers around that only allowed for 32k transfers and not the default 64k. As the 'Auto' part has been improved over time, there has been less and less need for a manual option, but it's still there just in case. Uses 64k for 'Transfer Length'. You can select either 32 KB or 64 KB for 'Transfer Length'. If you lock the tray, it will prevent you from accidentally ejecting the tray while ImgBurn is performing tasks with the drive. If enabled the program will lock the tray during a read operation. If enabled the program will lock the tray during a write operation. If enabled the program will lock the tray during a verify operation. If enabled the program will lock the tray during an erase operation. You can set as an option that the tray is automatically ejected upon completing of a process. If enabled the program will eject the tray after a read operation. If enabled the program will eject the tray after a write operation. If enabled the program will eject the tray after a verify operation. If enabled the program will eject the tray after an erase operation. Option to prevent the program from blocking AutoPlay when it receives the 'QueryCancelAutoPlay' message from the OS (probably only when it's in the foreground). If enabled it stops the entire OS from knowing a disc has been inserted - only affects the currently selected drive. Useful for discs with 'Autorun' content and where a player would jump in and try to play the disc as ImgBurn is trying to initialise it. 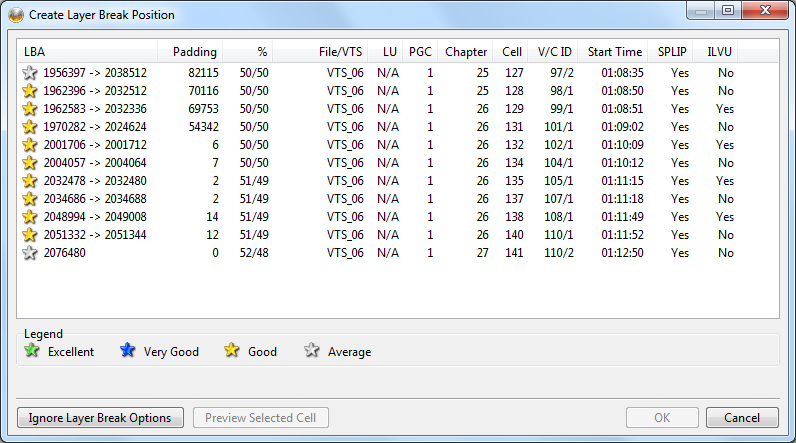 This indicates how ImgBurn sorts the list of drives (in case you have multiple drives). If enabled, Windows can detect when the media/media content has been changed if ImgBurn isn't doing anything important like burning/erasing etc. This is nothing to do with ImgBurn really, it's a global OS thing. The OS defaults to having it enabled. Auto Insert Notification works by periodically polling a CD ROM drive for the purpose of reading the title and table of contents on the disc and also try to launch each disc's Autorun file. If found, an appropriate program is launched. (The type of program would depend on whether it was an audio CD or installation CD, etc.). Unfortunately, Autorun can interfere with the burning process, which is why many burning applications disable the feature altogether. If you disable this option it will cause your CD/DVD device to stop noticing new discs in the drive unless you specifically click on them, regardless of if ImgBurn is loaded or not. If enabled, Data Discs are started automatically when they are inserted. If enabled, Audio Discs are played automatically when they are inserted. Note: These options are not available in Windows 95, 98, Me and NT 4.0. This table gives you the ability to synchronise a device selection within the various modes. If you change the default drive in one mode, it will also change it for the other mode(s) that are enabled in the table. Here you can select if you want the program to play a sound and also which sound you want to hear. You can listen to the current sound if you click on the green arrow. The default sound is 'Enabled' and 'C:\Program Files\ImgBurn\Sounds\Success.wav'. You can here specify if you want sound to be heard after these actions; 'Read', 'Write', 'Verify', 'Quick Erase' and 'Full Erase'. The default settings are 'Enabled'. The default sound is 'Enabled' and 'C:\Program Files\ImgBurn\Sounds\Error.wav'. This option allows you to define in what Mode that you want ImgBurn to start in by default. Starts Imgburn in the Mode you used the last time that ImgBurn was used. Starts ImgBurn in the 'Ez-Mode Picker Mode'. Starts ImgBurn in the 'Read Mode'. Starts ImgBurn in the 'Build Mode'. Starts ImgBurn in the 'Write Mode'. Starts ImgBurn in the 'Verify Mode'. Starts ImgBurn in the 'Discovery Mode'. In the 'Build Mode' you can choose if you want to use the Standard or the Advanced building function. This setting defines which one that should be used as default when you start the 'Build Mode'. Sets the 'Input Mode' to the one you used the last time that 'Build Mode' was used. Sets the 'Input Mode' to use the 'Standard' compilation window. Sets the 'Input Mode' to use the 'Advanced' compilation window, that uses the 'Disc Layout Editor'. 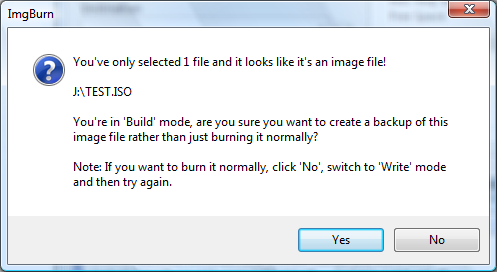 In the 'Build Mode' you can choose if you want the build to be created as an image file or burnt directly. This setting defines which one that should be used as default when you start the 'Build Mode'. Sets the 'Output Mode' to the one you used the last time that 'Build Mode' was used. Sets the 'Output Mode' to 'Device'. Sets the 'Output Mode' to 'Image File'. Periodically checks for program updates. ImgBurn will only check for an update once per day, regardless of how many times the program is started. As a note, ImgBurn polls (pings) a few places (Microsoft, Google and Yahoo) to see if there is an internet connection. This option is just a backup in case you accidentally click the 'Stop' button by mistake while ImgBurn is performing its tasks. 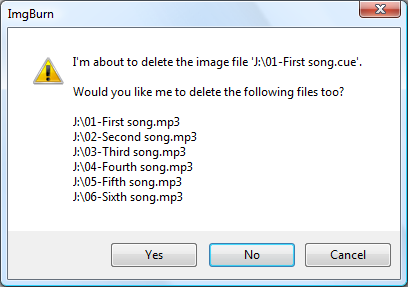 It will also ask if you want to delete the incomplete file(s). If you enable this option, you will in such a case see this window. Asks you if you want to delete the incomplete file(s). Deletes the incomplete file(s) automatically. Keeps the incomplete file(s) automatically. This setting controls if the 'Taskbar Button' of ImgBurn should be flashed when the application is trying to get your attention and wants to become the active window, but is not allowed to do so. Clears the list of the recent opened/saved files when you exit ImgBurn. Here you have the option to let the program automatically saving the queue when you close the program. If enabled, the old queue file will be overwritten. If you disable it, the queue file will be saved as ImgBurn(#).ibq were the number (#) will be enumerated with a higher number the next time you save a queue file. Here you have the option to let the program automatically saving the file log when you close the program. If enabled this setting, ImgBurn will add the latest log to the existing log. There is a maximum on how big the appended log will grow to, by estimate 4 200 rows. When that maximum size is reached, it will delete the last entries when the latest new log is added. If enabled, the old log file will be overwritten. If you disable it, the log file will be saved as ImgBurn(#).log were the number (#) will be enumerated with a higher number the next time you save a log file. Whatever type is checked will be opened in ImgBurn if you double click on a file having such an extension. It will also show you a context menu with the option 'Burn using ImgBurn' when you right click such a file. APE is the file extension for the Monkey's Audio Lossless Audio Compression Format. BIN is the file extension for the Binary file. CDI is the file extension for the Phillips Compact Disk Interactive file. For proper support of .CDI image files (including multi-track/session ones), download the pfctoc.dll file from Padus's Website. Save the PfcToc.dll file in the same folder as where ImgBurn.exe is located. Note: ImgBurn does not require this dll in order to function (albeit with basic support for .CDI image files) and its installation is completely optional. CDR is the file extension for Raw Audio-CD data file. CUE is the file extension for a cue sheet, or cue file, a metadata file which describes how the tracks of a CD or DVD are laid out. Cue sheets are stored as plain text files. 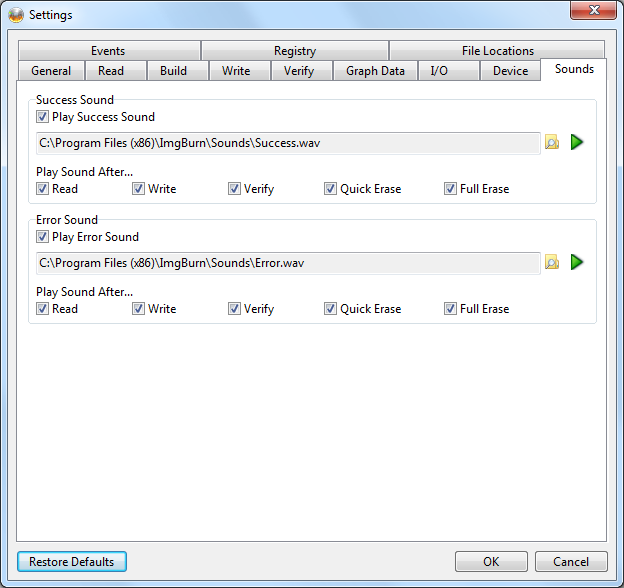 For an audio CD, a cue sheet specifies titles and performers for the disc and its tracks as well as the names of one or more audio files to be used. MP3, WAV and BIN files are often used, although some programs support other formats. DVDMaestro Project File (Spruce Technologies). FLAC is the file extension for Free Lossless Audio Codec, a file format for audio data compression. Sony CD Extreme Global Image File, Prassi or PrimoDVD Image or RecordNow MAX CD Image (Stomp). An ISO image is an informal term for a disk image of an ISO 9660 file system. Ingres Dump List File (Computer Associates International, Inc.). NRG is the file extension for the Image file associated with Nero. WV is the file extension for WavPack a free, open source lossless audio compression format. This will checkmark all of the above image formats. This will uncheck all of the above image formats. Option to include 'Burn using ImgBurn' file association entries in whatever's the default ProgID of a given file extension. In older versions of ImgBurn (prior to ver 2.5.7.0) this was done by default. 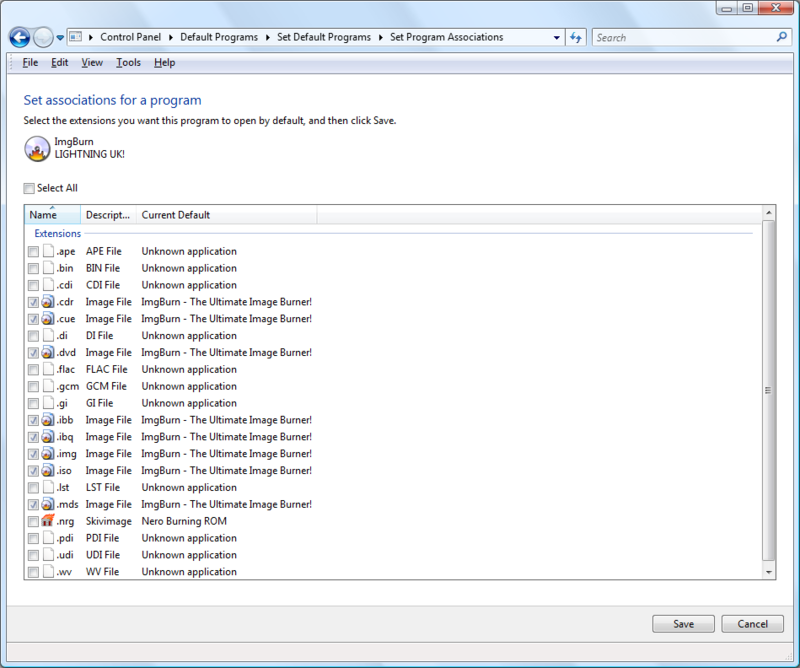 With this option you can set ImgBurn as the default application for some or all of the above image formats. It's also possible to use Microsoft's function 'Set associations for a program', in Windows Vista and Windows 7, for this purpose. This allows you to directly by right clicking on the drive and selecting the appropriate options as well as list ImgBurn as an option for the autoplay feature. This means that if you enter a DVD, the menu that comes up not only lists the options to play the DVD in your favorite software player, open it in Windows Explorer and do nothing, but there will be another option that allows you to launch ImgBurn. Adds the options 'Build + Burn an Image in ImgBurn' and 'Burn an Image in ImgBurn' to the Windows AutoPlay menu with an inserted blank CD disc in the device. Adds the options 'Build + Burn an Image in ImgBurn' and 'Burn an Image in ImgBurn' to the Windows AutoPlay menu with an inserted blank DVD disc in the device. Adds the options 'Build + Burn an Image in ImgBurn' and 'Burn an Image in ImgBurn' to the Windows AutoPlay menu with an inserted blank HD DVD disc in the device. Adds the options 'Build + Burn an Image in ImgBurn' and 'Burn an Image in ImgBurn' to the Windows AutoPlay menu with an inserted blank Blu-ray disc in the device. Adds the option 'Create an Image in ImgBurn' to the Windows AutoPlay menu with an inserted CD Audio disc in the device. Adds the option 'Create an Image in ImgBurn' to the Windows AutoPlay menu with an inserted DVD Movie in the device. Adds the option 'Create an Image in ImgBurn' to the Windows AutoPlay menu with an inserted HD DVD disc in the device. Adds the option 'Create an Image in ImgBurn' to the Windows AutoPlay menu with an inserted Blu-ray disc in the device. Adds the option 'Read using ImgBurn' to the context menu when you right click on a device with an inserted Audio CD. Adds the option 'Read using ImgBurn' to the context menu when you right click on any CD/DVDROM drive. It's off by default because Windows appears to make it the default option - hence double clicking on the drive opens ImgBurn! Adds the option 'Read using ImgBurn' to the context menu when you right click on a device with an inserted DVD. When enabled, ImgBurn lists itself in the manual 'Open With' selection window that you can have pop up on files with unknown file extensions. If you want to change the default path, then use the folder browser button to specify a new path on the row for the type of files that you want to change the 'File Locations' setting for. The check box that is located to the right of the 'Folder Browser' button, can be check marked if you always want to use the specified path as the initiation folder in open/save dialog boxes. The path to where you want the 'Graph Data Files' to be located. 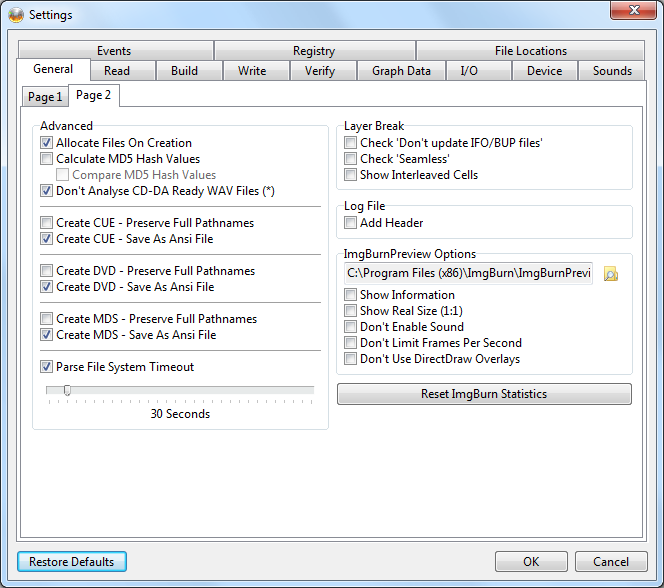 ImgBurn's 'Graph Data Files' have by default the extension '.ibg'. The path to where you want the created images from the 'Build Mode' to be located. The path to where you want the ImgBurn's 'Language Files' to be located. By default this folder is empty and you need to manually download the desired language file(s) from the 'ImgBurn Download Page' and place the extracted file here. The path to where you want the 'Log Files' to be located. ImgBurn's 'Log Files' have the extension '.txt'. The path to where you want the 'Project Files' to be located. ImgBurn's 'Project Files' have the extension '.ibb'. The path to where you want the 'Queue Files' to be located. ImgBurn's 'Queue Files' have the extension '.ibg'. The default path will depend on your installed Windows version. The default paths in this window are from a Windows 7 64-bit installation.